If you need a new bed, you’ve probably considered mattress shopping online. With so many brands, and the inability to try the bed before you choose it, it can seem challenging. 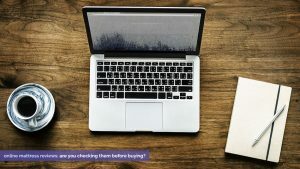 Typically, customer reviews are a great way to get genuine feedback about a bed and are very helpful in determining which brands you’re most interested in further researching. In this guide, we’ll be covering the Tuft and Needle brand, their mattresses, and Tuft and Needle mattress reviews to help you decide if this brand carries the best mattress for you. Tuft & Needle, or T&N, made its market debut in 2012— only just a few years ago. It was founded by two software engineers; Daehee Park and JT Marino. After JT and his wife were tasked with buying their first mattress together and realized just how difficult it was, JT was inspired to make mattress shopping easier. After Daehee Park, JT’s college friend turned co-worker, jumped on board, Tuft & Needle was founded. Their core value was to improve the mattress shopping experience by offering lower costs and transparent information. At first, they carried one mattress, and it was sold exclusively online. As the T&N business grew, they opened storefronts in Arizona, Washington, Kansas, and North Carolina. After a few locations were built, T&N partnered with Crate & Barrel, Lowe’s and Walmart to make their products more readily available to consumers. In 2018, T&N decided to merge with Serta Simmons Bedding. The merger was a huge step for Tuft & Needle, as they are the first direct-to-consumer mattress brand to merge with a “legacy” mattress company. Now, T&N carries two mattresses: the Original Tuft & Needle mattress and the Mint mattress. They also sell bedding, mattress protectors, bed frames, foundations, and bean bags. They’re headquartered out of Arizona and manufacture all of their beds in the United States. In this next section, we’ll be breaking down both of their mattresses, the layers inside, and the materials used to make them. The two T&N mattresses are both all-foam and made primarily from poly-foam specifically. The Original mattress was Tuft & Needle’s flagship model. Because it was the only mattress they sold, it was designed to be comfortable for the majority of the sleepers. On their website, it’s described as an “ideal balance between support and pressure relief.” It contains two layers and a cover. Below, we’ll look at the materials T&N uses in this bed. The cover of this mattress is a blend of polyester and Tactel. Tactel is a quicker-drying substitute for cotton. By using this material, they aim to improve temperature regulation. Their cover is designed to be thin and stretchy, which should allow for air to quickly move through the cover and reduce the chance of the bed trapping heat. 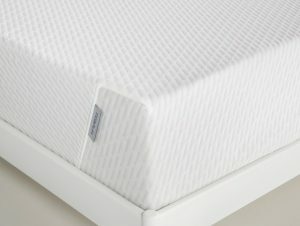 The top layer of the Original mattress is 3 inches of Tuft & Needle’s proprietary poly-foam, called T&N Adaptive® foam. The poly-foam in this layer is designed to respond quickly to pressure, meaning it should feel a bit bouncy and pressure relieving. Because this foam is created to be responsive, it reduces your chance of feeling “stuck” in the mattress. The bottom, or core, layer of this mattress is 7 inches of dense poly-foam. The core functions to provide durable structural support for the entirety of the bed. Overall, this bed is 10 inches tall and about a medium firm, being rated around 6 or 6.5 out of 10. Because the top layer is designed to respond to and relieve pressure, it’s recommended for back, stomach, and side sleepers alike. After the success of their flagship model, T&N decided to release a more luxurious mattress, called The Mint™ The Mint™ model is designed to be more breathable and cooling, or temperature regulating, and more pressure relieving than the original bed. This bed has three layers. Below, we’ll look at what goes into each. The cover of the Mint™ is a polyester blend with graphite wicking gel, designed to have a thick and cooling feel. There is 30% more graphite gel in the Mint™ than their Original model, meaning it should sleep cooler than their Original bed. The top layer of this model is 3 inches of Tuft & Needle’s proprietary enhanced poly-foam, their Enhanced T&N Adaptive® foam. Unlike the Original T&N, this foam is enhanced with graphite for extra cooling. Tuft & Needle designed their Enhanced Adaptive® foam to feel softer than their regular T&N Adaptive® foam but maintain the same responsiveness— meaning, this foam should feel softer without making you feel stuck in the bed. The next layer is 2 inches of firmer T&N Adaptive® Foam infused with gel beads for enhanced heat reduction. By adding cooling technologies into each of the top layers of this mattress, Tuft & Needle considerably reduces your chance of sleeping hot on their bed. Lastly, the core of this mattress is 7 inches of high-density poly foam designed to provide structural support to the layers above. The density of this poly-foam enhances the edge support of the Mint™, as well. The Mint™ model is 2 inches thicker than the Original T&N, standing tall at 12 inches. If you commonly experience aches when you wake up in the morning, such as hip pain, this mattress may be a solution for you due to the design’s emphasis on pressure relief. It is also designed to be comfortable for a majority of sleepers and offers a medium firmness, rated around 6 or 6.5 out of 10. For this guide, we’ll be basing our prices on Queen sizes. The Original Tuft & Needle mattress costs $595. T&N offers free shipping and frequently runs promotions on their mattresses, offering discounts and complimentary pillows. Keep an eye on their website to make sure you’re getting the best promotion when you buy. Every T&N mattress comes with a 100-night sleep trial, giving you the opportunity to test it in your own home for up to three months. 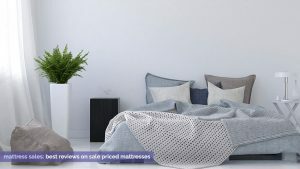 If you decide during your sleep trial you’re unhappy with your new bed, T&N offers free returns and will refund you entirely after they come to pick up the mattress for you. Tuft & Needle also offers a 10-year limited warranty on their mattresses. If your mattress develops a sag or indentation of at least one inch or the material begins to show cracks or splits, T&N will repair or replace it. The cover of the mattress is also protected against the fabric tearing or stitching unraveling. Before you buy, read the specifics of the warranty information, so you have a clear understanding of the terms. On their website, you see Tuft & Needle receives 4.9 out of 5 stars on Google customer reviews. Overall, 94% of their customer reviews are rated 5 stars. Most of the customer reviews mention how easy it was to shop with T&N and that they received their mattress in only 2 or 3 days after ordering. Other reviews state how long they’ve had their mattress, specifically mentioning it’s maintained it’s quality over the years. A few of the negative reviews mention the bed sleeping hot. Because these beds are designed to offer universal comfort and be pressure-relieving, they should be comfortable regardless of your sleep style. Side sleepers though may find they need more comfort than what the T&N beds offer because their hips and shoulders need to sink into the mattress a bit to relieve pressure points. To find the best mattress for side sleepers, check out our other articles. We hope this guide has given you a helpful look at the Tuft & Needle mattresses. If you’re not sure a T&N bed is right for you, check out our other mattress reviews to learn about different brands and mattress types.